There's a section (sticky thread) for fanfiction recommendations and links near the top of the page. I think I've been reading and commenting on some of your stories recently on another site. I saw the thread, thanks, and I may post to it when I get my next thing finished. I’m pretty easy to google though. Thanks for commenting! It’s tough to sweat and labour and angst over a story and hear nothing but crickets when you post it. Hello I am new ...Should have done this years ago . I am a massive Treky like pretty much all of us here lol. I am 38 years old and I have watched Star Trek Next Gen ,DS9 and Voyger from the very first day they went on air . 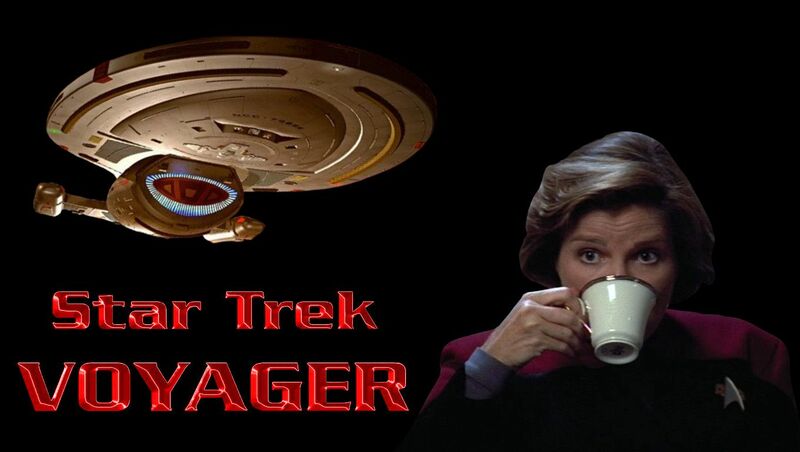 I am currently watching last season of Voyager and just watched an episode which would be the very last time we would see the Q .
I am watching Voyger via Netflix in UK. I started to watch Voyger from the very beginning just like Next Generation last year . This is the first time I have watched Voyger in over 10 years as last time Sky 1 used to show them originally as well as the BBC . Anyway I'm kinda bit upset a bit as it's drawing to a close 2001 epsidep 15 I think I'm on . I had just forgotten how fantastic this series was in some respects equals next Generation in its own way . Rick Berman and Co really pulled out all the stops with Voyger .As I watch each episode I just nod my head each time and wonder why th hell this series never got the credit it desvered over the years.Some of the episodes are just incredible !!! Year From Hell one of them .Yet they received 7 Emmys and never got the recognition it deserved. Almost 20 years scence the very last episode end game went out on air and I think Voyger now getting the credit it dservrsd .And to think that CGI and story line were very modern indeed bang uoto date . I am badly missing the series already . I am so so so happy that Voyger had great backing at the time to help it Jonathan Frakes,Rick Berman and even though RIP Gene had died years before his wife Majel Barrett was still fully involved . I do love the new Star Trek Discovery but Voyger to me was the real deal and had Gene Roddenberry amazing Vison as a Human being Which I wish one day we can all embrace our hummanity like 7 of 9 does . Kilana2, Byrcca, Thomas Eugene and 1 other person like this. Hey am a new user, enjoy to Bicycle and Gaming am usual open about. Glad to join the Star Trek forum lot of interesting things can be share. Thanks. Who is your favorite VOY character? Thank you cosmic mouse, Favorite Voyager character is Seven of Nine, she is cool - looks kind of like the famous singer Taylor Swift. Honorable Mention: B'Elanna Torres - gets the home work actually done. Seven is my fav too... I love all the VOY characters though. Awesome, it does make sense. Due to my lineage, should mention Captain Janeway as well. The holomatch with Seven of Nine is interesting while in space and stuff too. A good show for sure. What's up? I'm 6 episodes in to my first time with Voyager and so far it's really good. I'm thoroughly enjoying it. The ship is gorgeous. Janeway is compelling. Great to be watching new Star Trek again. cosmic mouse and Thomas Eugene like this. Kilana2, TribbleFeeder, cosmic mouse and 1 other person like this. I'm on the other side of that! Totally get Janeway's plight at the beginning of the series. I'd be racing headlong into coffee nebulae too. Oh I tried it … but the end result is coffee syrup … yuk! Which is funny because I quite like a piece of coffee cream cake or coffee icecream and other stuff that's made from coffee. But the original: no way! If I (had) played the Captain of a show and it seems Star Trek generally requires you to have some kind of favourite drink, you'd see me drinking freshly squeezed orange juice all the time. Blood orange is even better! But really, why does it always have to be some kind of drink? My Captain (=that's me ) would be authentic only if he could eat strawberry cakes all the time. 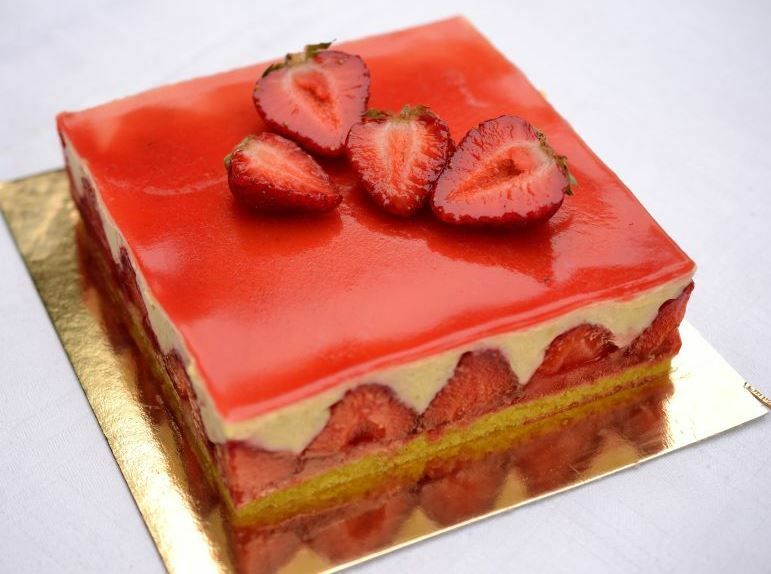 I'm not much of an actor (and I certainly lack the ambition to become one) but if they offered me to have strawberry cakes in (almost) every episode, I'd seriously consider accepting the part, LOL! Hello, I've been on this forum for a little while, but I never really watched Voyager. Doing a systematic watch of it now on Netflix, a few episodes into season 2 and enjoying it. Although I think that I missed the part that explains how they can play around on the holodeck so much with the need to conserve fuel and what not. I got into into it again for a Trek fix months ago, and was so impressed with the acting in general with the arrival of S4. And aside from technobabble from Harry(well, anyone), I enjoy the more realistic approach as opposed to TNG, where the personality of characters is too amplified for my taste. Although two active Holodecks is a bit much to swallow. Blood orange juice is tasty... especially when mixed with tequila. Kilana2 and cosmic mouse like this.